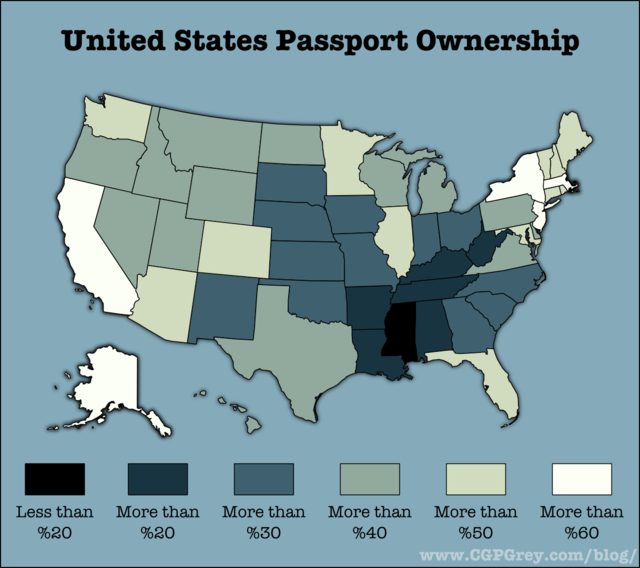 Why does Mississippi have the fewest passport holders per capita? Before getting into the possible answers to that question take a look at the map below, which can be found on the C.P. G. Gray website. One answer is that Mississippi has the lowest per capita income so its residents have less money with which to travel. A second answer might be that Mississippians choose to stay at home. The Magnolia State has the 5th highest ratio of residents who were born in the state. Actually, combine both of these answers as contributing factors and it’s easier to understand why the rate of passport holders is the lowest in the country. It has been said that travel is the best education. In view of the fact that Mississippi ranks so low in that category maybe it would help if we could figure out a way to have more international travel for Mississippi students. 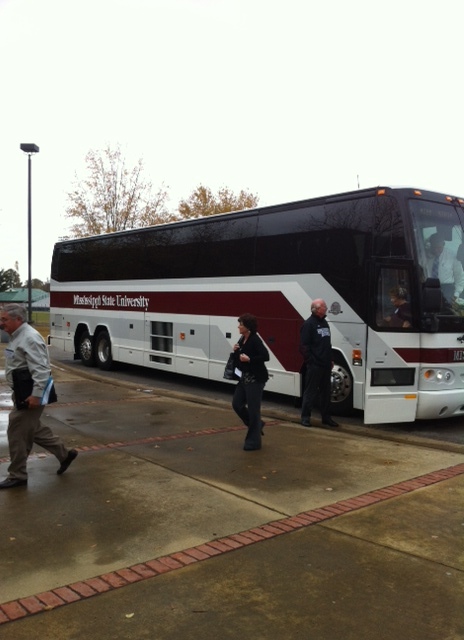 This past week I had the opportunity to accompany the 2012 Appalachian Bus Tour on its visits to Corinth High School, East Mississippi Community College, Bevill State Community College and Louisville High School. Below are links to a couple of news stories about the tour and why it came to this region. TUPELO, Miss. (WTVA) — Monday, Mississippi became the focus of educators from eight other states. They came here to find out what certain school districts are doing to put more students in college. APNews – Daily Corinthian – A group of over 60 education professionals from around the Appalachian region visited Corinth High School on Monday to learn more about the school s success in preparing students for college. The group of educators were part of the Appalachian Higher Education Network s annual bus tour, a three-day trip to schools in Alabama and Mississippi with a spotlight on college access programs. 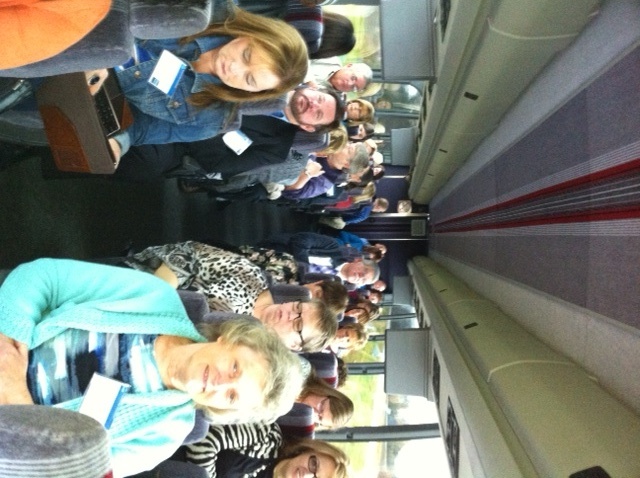 Educators on the tour hailed from Alabama, Georgia, Kentucky, Mississippi, North Carolina, Ohio, Tennessee and West Virginia.